All four sides of the case simulate the base of the Eiffel Tower. 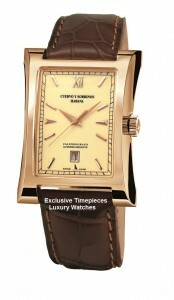 It is a beautiful polished Rose gold case, cream color dial, automatic movement with date indicator. 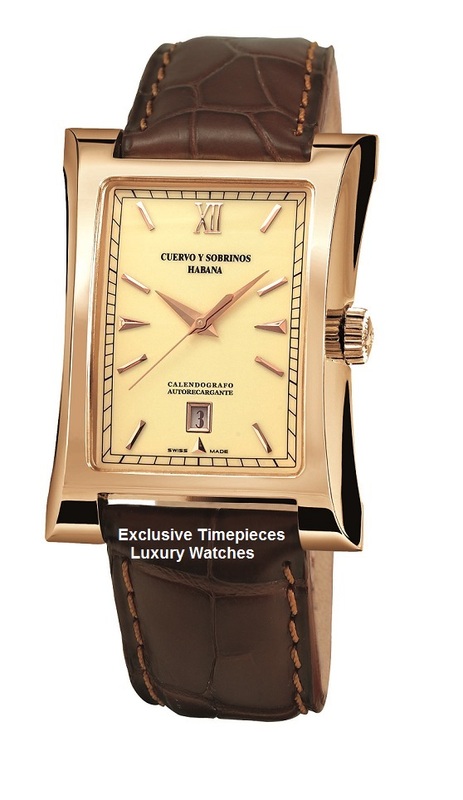 It features a solid gold case back, and comes on elegant brown alligator strap with regular pin buckle.